y = ssbmod(x,Fc,Fs) uses the message signal x to modulate a carrier signal with frequency Fc (Hz) using single sideband amplitude modulation in which the lower sideband is the desired sideband. The generated output y is a single side band signal with a suppressed carrier. 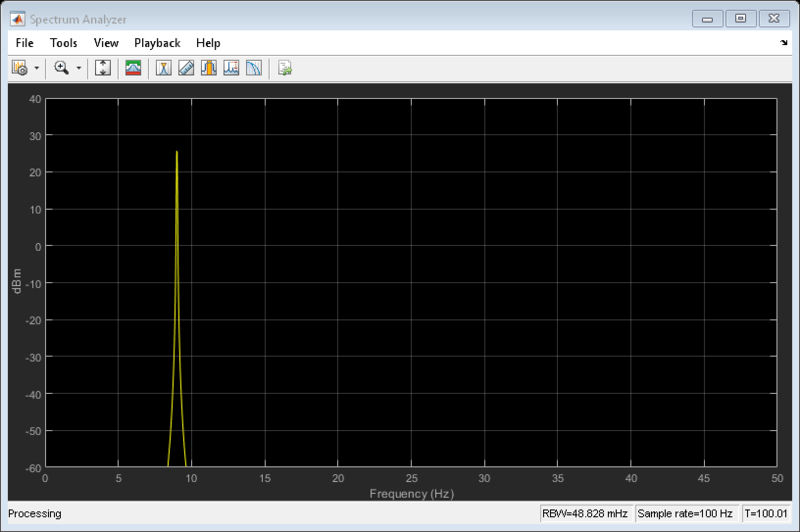 The carrier signal and x have sample frequency Fs (Hz). The modulated signal has zero initial phase. y = ssbmod(x,Fc,Fs,ini_phase) specifies the initial phase of the modulated signal in radians. y = ssbmod(x,fc,fs,ini_phase,'upper') uses the upper sideband as the desired sideband.